With the new iOS 10 and macOS Sierra updates Apple introduced a set of automated Photos tools, like new machine learning algorithms that automatically identify faces and places, that combine to make image search and organization easier than ever. 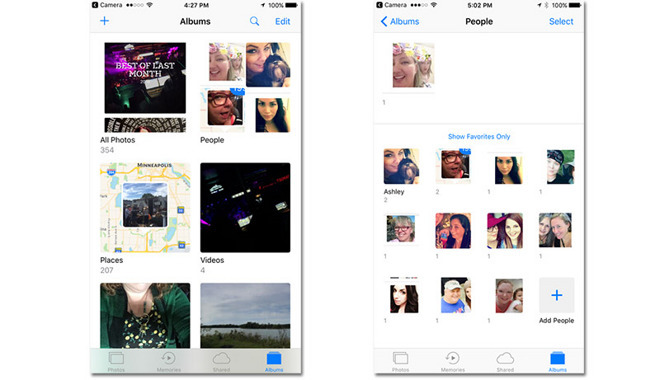 Before the update, Apple users had to manually sift through their photo library to surface individual images. Discovering photos from years ago meant picking through albums organized by date going back potentially years and years. 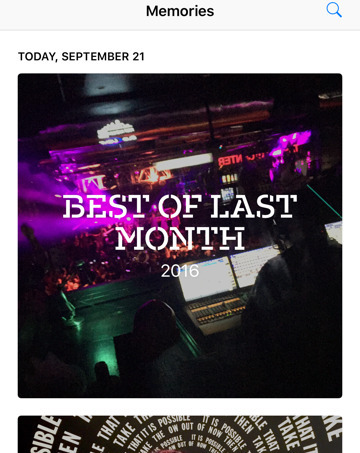 With iOS 10 and macOS Sierra, intelligent Photos search features analyze the content of your photo library and automatically organize images based on detected faces, objects and scenes. Results are filtered into one of two albums: People and Places. Want to find photos that include Aunt Karen? No problem. Just look for her photos in the People album and add her name. You can now search all your photos that include her. How about photos from the food truck festival you attended four months ago? It's just a keyword search away. Although the scanning is automatic, don't expect it to be quick. After the initial update, iOS 10 on an iPhone 6 Plus took almost three hours for a library of roughly 350 "optimized" images to process. 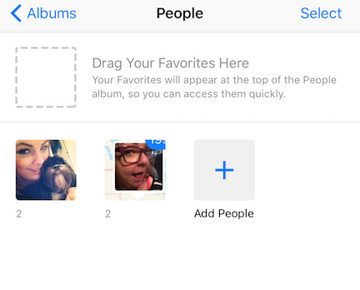 Face recognition software automatically groups similar faces together in the People album. Photos will also scan your photos and videos for object and scene recognition, as well as location, and gathers them by thousands of possible keywords. 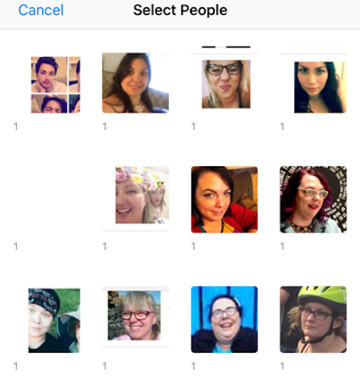 To organize photos of friends and family by faces, first go to the People folder in Photos, then click on the desired mini album. Apple's software automatically detects faces as part of the scanning process and creates individual mini albums for each face, populated by all the photos in which they appear. Tapping on an individual's mini album allows you to add attach a name to the software-detected face. Now you have a go-to album that has all your photos of and with that person. For photos snapped at specific locales, click on the Places album and map populated with geotagged images will appear. 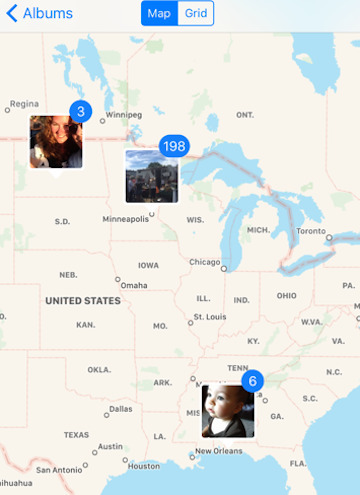 Zoom in and out to find the location you're looking for, then click on the photo over the location and a list of photos you've taken at that location will show up in chronological order. You can also use Siri to search for photos based on a specific date, time frame or location. For example, if you want to find photos from that food truck festival we mentioned above, just ask Siri to "Show you photos from August 18th." Want to find photos from your latest vacation? Ask Siri "Show me photos from Pensacola." As noted above, you can input the names of the people in your photos to easily search for photos of them by name and you can even drag and drop people to your favorites section at the top. Users can also search for items, such as "dog," "beach" and "food" in your photos as well. The Photos app also has a new Memories feature that pulls photos based on the locations, times and/or names to create a video slideshow. It culls photos from your Camera Roll for the video. Apple calls them "highlights" from "forgotten events, trips and people." This could be an interesting and entertaining endeavor depending on what types of "forgotten" information is lurking in your device. You can also easily share the Memories videos with family and friends. One of the biggest downfalls of the new features is that it doesn't sync between devices. Information you've already input from previous Photos is lost. It also means all the work you put into adding names, creating videos, merging people files won't automatically transfer to another iOS device.